What do our clients testimonials have to say about us . . .
"I first went to Guy when he was a solo practitioner c. 2002, stayed with him and his excellent massage therapists who have joined him. Each therapist has great hands that understand the body. 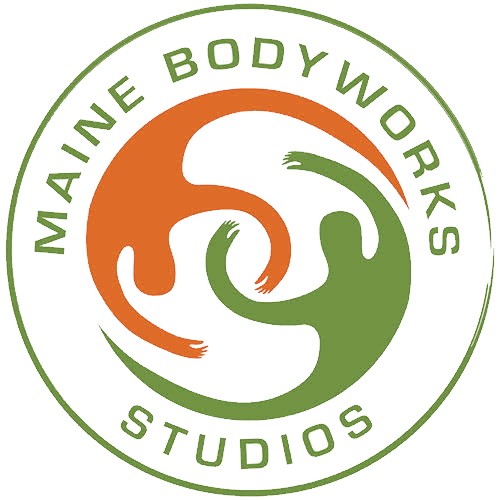 Coming to MaineBody Works regularly is as central a part of keeping healthy for me as is exercise, eating and meditation." "I have been seeing Jason weekly for myofascial work, using the KCR method. From week to week I feel the sense of well being, as well as improved posture, as a result of this method. I have already been singing his praises to my friends, and will continue to do so." "For three plus years I’ve been a happy client at Maine Bodyworks. Guy and Tatiana have built a tranquil space for my body and mind to recover from all the stresses of my days." "When I moved to Portland three years ago, Guy was recommended to me as the person to see for both regular and Thai massage. He has a wide range of skills and is not only able to provide a wonderful Swedish massage, should you need total relaxation, but is also a master of therapeutic body work. I would unhesitatingly recommend him to anyone who’s looking for a great massage experience." "When I first moved to Portland, I looked for a Thai massage specialist and was thrilled to find Guy Mcchesney. My first massage and every one since then have left me feeling better, healthier, and more alive. Guy's techniques utilize his communication skills, which allow him to quickly assess what is needed, his massage training, which is extensive and varied, as well as his years of experience as a professional in this field. The end result is you can be worked upon for the full 90 minutes and receive exactly what you ask for!